Hot Top Rated Thread Brendan Keenan's "Bleak Omens" for Europe! Are you glad that this Economics Thread is the Biggest Thread of all on P.irish? Thousands of people marched in Dublin today in a huge rally in support of the nurses and midwives as they call for pay parity. They are wasting a lot of money elsewhere, but they can't pay the nurses (unless it is money earlier taken from them) It would lead to leap frog claims. Why don't they remove they banker's Levy on pay. A sure way to loose readers attention is to use abbreviations that no one knows except you and a language of a foreign country. You might like you piece to be read, but you are not the boss. There isn't a quarter of a million views on the entire site, not alone yours. Who wants to look at a butchers stall. 100 divided by 27 = 3.703. 100 divided by 26 = 3.846 This is all elementary stuff. 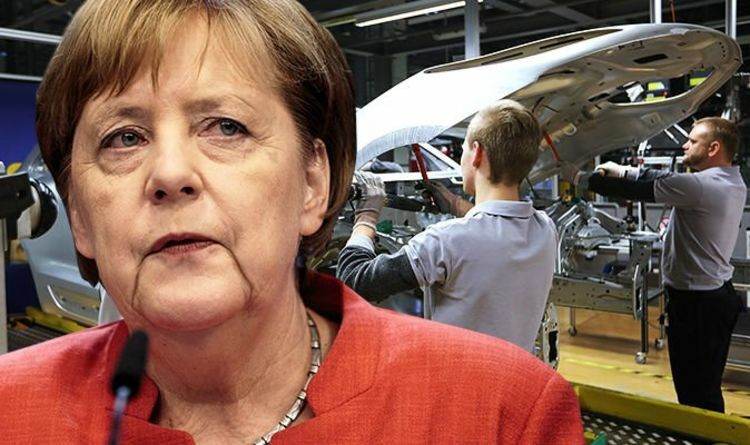 GERMANY'S famous car-makers will suffer massive losses under a no deal Brexit and more than 100,000 jobs will be at risk, with the country’s lucrative motor sector hit significantly hard, a shock new study has revealed. The Opel Astra and Corsa cars and the Fiats and Alpha Roma cars all have M32 gearboxes which are guaranteed to fail @85,000 miles. The Opel insignia gearbox can fail at 23,000 miles. If the M32 gearbox is not fixed as soon as the whining starts, it can disintegrate and a new gear box is needed, Second hand boxes can't be got and they are going to break anyway. New one are so expensive, its cheaper buy another car. In Ireland there is 6 billion Euros worth of wind farms depreciated at 5% which are worthless without government intervention. Gaelectric cannot sell the second half of its wind portfolio. So there is 6 billion potential hole in lenders and investors funds. That is only the bit I know about. Most new cars are leveraged on the never never. There is product in the Irish economy, but is it enough? That is the question.